Pauline Melville has won a wheelbarrow full of literary prizes with a relatively small output. 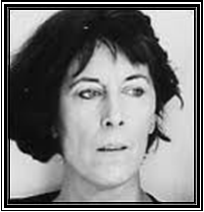 Her reputation was firmly established with her first collection of short stories, Shape-Shifter (1990), which won the Guardian Fiction Prize, the Macmillan Silver Pen Award and the Commonwealth Writers Prize for best first book. Her first novel The Ventriloquist’s Tale received the 1997 Whitbread First Novel Award. Last year, she published another collection of short stories The Migration of Ghosts. She is much lauded by fellow writers and critics. Yet, she resolutely refuses to play the public part of the writer’s game. She is an enigma, shrouded in mystery. Few, if any interviews, exist with her. She does not ride the radio and television hype bicycle to talk about her writing.